Discussion in 'General' started by silk186, 11 Jan 2019. I've recently moved into a really nice London community that feels very safe and is family oriented. I joined the local facebook group which is really active and someone posted about seeing a couple of guys break into their neighbours home. Yesterday someone was trying to get to get into my place and I confronted them. I'm thinking about investing in some budget home security. I don't think a connected system is that answer given installation prices, contracts and monthly fees. I see some cheap kit on Amazon and a modular home security line from Xiaomi that is pretty affordable. I'm wondering what is the minimum to act as a credible deterrent? It is a ground floor two bedroom flat with a secure front door (metal frame with obscured glass. It doesn't have a deadbolt but it looks securely and has a tight fit. I also have a sliding glass door with a lock and pin in the middle section. I like the idea of getting alerts on my phone. I don't want to spend more than necessary or make it look like I'm conducting illegal activities but I also want to feel sale when I leave my wife and daughter home alone. I'm not set on Xiaomi as I read that it relies on Chinese servers and doesn't work as well in Europe, but I'm familiar with the brand and like the price point. Hive I believe do some cloud connected security products and the ring smart doorbell is popular. It seems to have been discontinued. I’ve got a few yeelights, never had any issues with the servers. Perhaps get a motion sense video doorbell and a couple of lights you can turn on to make it look like your in. In theory it should be possible to set it up to do it automatically to. That would be my prefered solution but I don't think my London flat is large enough. 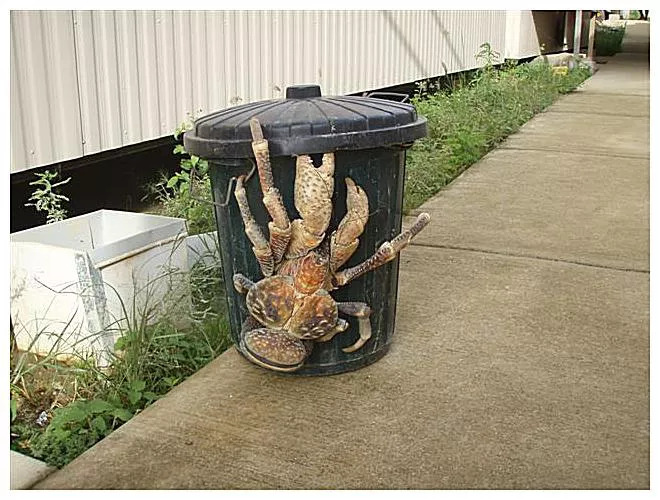 Land Crab, no ones going to mess with one of those. I recently put some security devices in the garage an around the home. Picked up one of these. It has RFID which saves a silly fob, pet mode (for your land crab or similar) Usual Chinese affair terrible manual but you can add things like an IP camera, its wifi and GSM so it'll text you if the alarms triggered so you can fire up the camera. Only downside is it needs plugging into a mains plug. You can also turn the alarm of via wifi when your in range. Recently found out you can have an outdoor solar powered alarm so may well expand the network. Hive View is their new iteration, the Hive camera I tried and didn't like it. I have modest Chinese skills and my wife is fluent so I'm pretty comfortable with Chinese brands. This looks like a very reasonably priced starter kit, through it lakes any video equipment (camera/smart doorbell). 5 pack of door/window sensors for £20 is very reasonable. In the end, its better than nothing I guess. I'm not too familiar with home security hardware. Is something wrong with this type of sensor? Problem is, that protocol/IC was never design for security applications, its intended use case is consumer electronics - the ones where you can easily clone the remote. I'd recommend a Tibetan Mastiff over a Doberman (recently lost our Doberman, still got the mastiff and he's far more intimidating) but probably not the best ideal for a small flat. On a more serious note have you considered fitting window security film, possibly not the cheapest solution but it is highly effective in preventing entry if somebody does decide to try to break a window. Obviously you'd need to be fairly confident that you are staying in the flat for quite a while which I know is never sure when renting. Tibetan Mastiff/Newfoundland = the size of a people carrier in the K9 world. Does the property have PVC or wooden window frames? My mother-in-law has some Tibetan mastiffs on her mountain (not where she lives). After paying compensation for a single maiming she has not reported a single incident of theft. Disclaimer: this security method is not recommended for family homes. PVC. I'm mostly concerned about the side entrance, but if I was getting a smart system I would do the windows as well as a motion sensor or two as they are relatively cheap and easy to install. Would you break into a house if you saw this in there? Film is a good option we have it at work on the inner glazing, someone tried breaking in and gave up as the film just held the glass, think similar to a car windscreen, it takes a lot of effort and noise to stove one in enough to get through. Actually I'd recommend the Tibetan Mastiff for family homes, ours is great with our daughter (8 years now) and fantastic with the other smaller dogs. He does take up quite a bit of space on the sofa however. Xiaomi Yeelight are wonderful bits of kit. They do have some eccentricity's to them but this has really improved over the years and the application has become brilliant. Always seem to be updating the Firmware and application software which builds confidence in the long term prospects of the tech. Also the cheapest fully featured smart light solution around. Well worth spending a tenner on the white bulb version just to test it out IMO. Provides facial recognition, alarm detection and even smoke detection. Stores video on an SD card installed in the device but has the capability to upload footage to an FTP server. No subscription necessary, it's very much a buy, install and forget device. The application is fantastic as well, lots and lots of options. Find the 'pet motion' detection quite interesting, observe what the little scamps get upto when I'm away. Even detects a pet when just their head and ears are in shot which is pretty damned impressive. They do an outdoor camera as well. Not tried this out personally but given the quality of the indoor camera I wouldn't hesitate buying one. Already have an outdoor security system installed though! Xiaomi is an interesting company to follow. I haven't heard od Netatmo before, I will look into it.